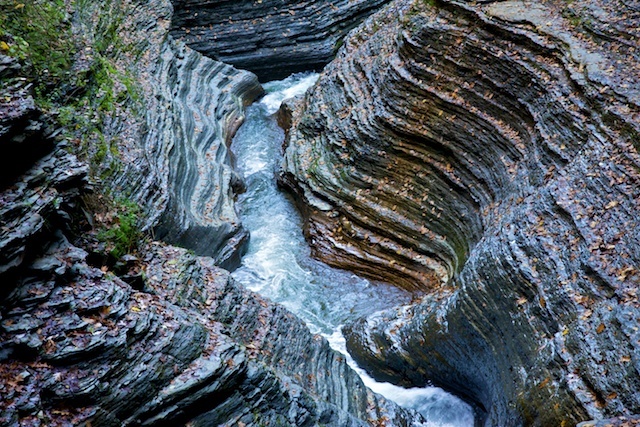 Photos from my trip to Watkins Glen State Park just south of late Seneca. 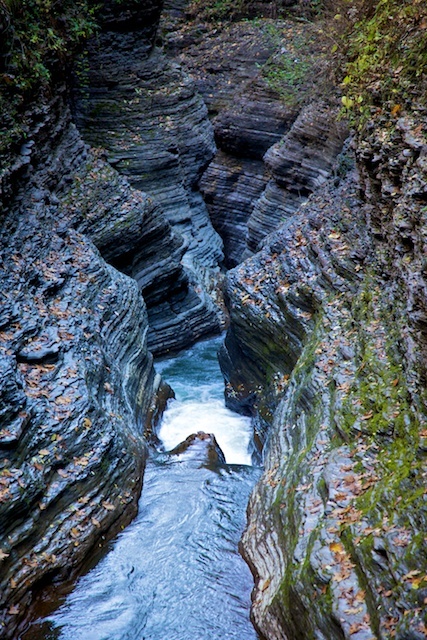 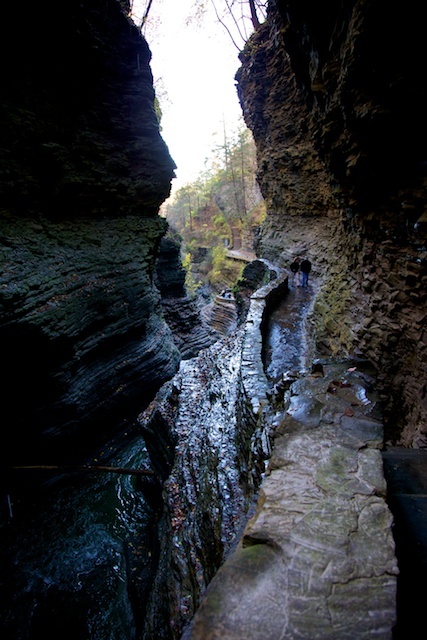 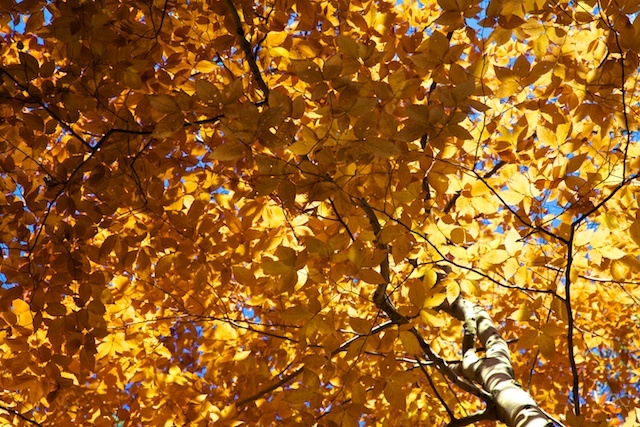 From Wikipedia:"Watkins Glen State Park is in a 400-foot-deep (120 m) narrow gorge cut through rock by a stream that was left hanging when glaciers of the Ice age deepened the Seneca valley, increasing the tributary stream gradient to create rapids and waterfalls wherever there were layers of hard rock. 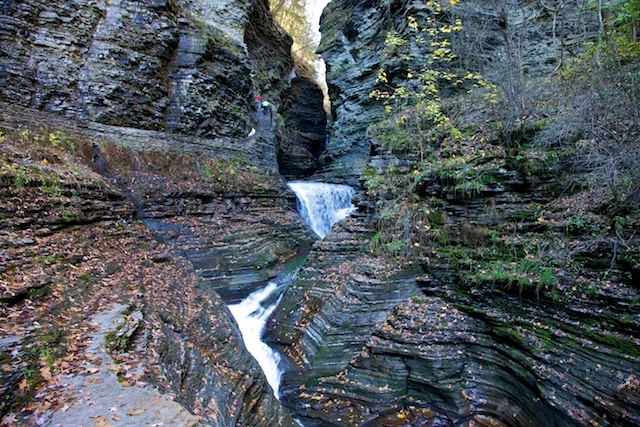 The rocks of the area are sedimentary of Devonian age that are part of a dissected plateau that was uplifted with little faulting or distortion. 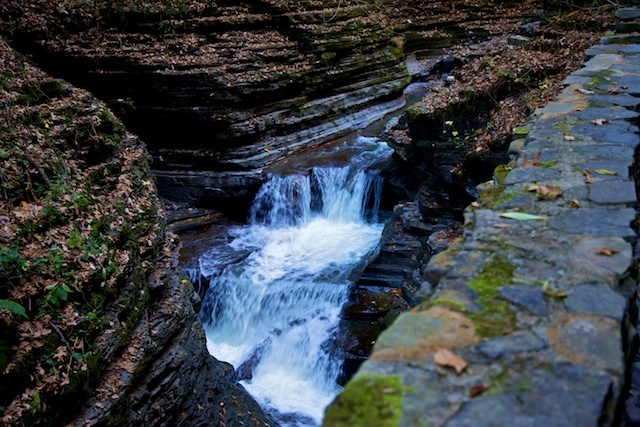 They consist mostly of soft shales, with some layers of harder sandstone and limestone."